Employee-owned companies could be a lot more visible in the coming years. The reason? Certified Employee-Owned (EO), a new certification program for employee-owned companies, has officially launched September 5. Modeled off programs such as B Corporation and Fair Trade, Certified EO is launching with the support of companies across America including WinCo Foods, Lifetouch, Modern Times Beer, and Colorado-based StoneAge. Certified EO is guided by an advisory board that includes Corey Rosen, Martin Staubus, and Halisi Vinson. Thomas Dudley, one of Certified EO’s co-founders, said, “we want employee ownership to be something that all Americans care about. It’s the perfect time for employee ownership to be on the national stage but right now it’s invisible.” The plan, according to Dudley, is to create a recognizable brand for employee ownership by combining the reach of employee-owned companies. According to Certified EO’s website, getting certified takes 8 hours and involves filling out a questionnaire. Certified EO verifies that companies are at least 30% employee-owned in a way that is broad-based, for example through an ESOP. Once certified, members can use Certified EO’s mark and access communications materials. This is no small feat – less than 0.5% of American businesses meet Certified EO’s standards. Once certified, members can use Certified EO’s mark and access communications materials. “There’s a lot we can do to help companies tap into American’s support for employee ownership. I think there’s a big opportunity for companies to benefit in terms of recruitment, internal communications, and of course marketing. Plus the more companies use EO the more Americans will know about it,” said Dudley. Certified EO’s members include more than just B2C companies. 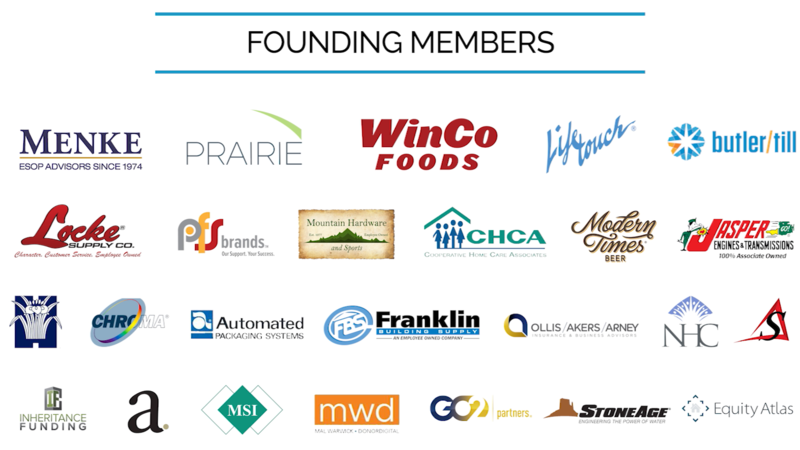 While major consumer brands including Winco Foods, Lifetouch, and Modern times Beer have joined, the founding members also include Butler/Till, a marketing and advertising firm, Miklos Systems, a systems engineering company, and Locke Supply, an HVAC and electrical distribution company. While creating a true national identity for employee ownership will take years, keep a look out for the Certified Employee-Owned mark in your community.